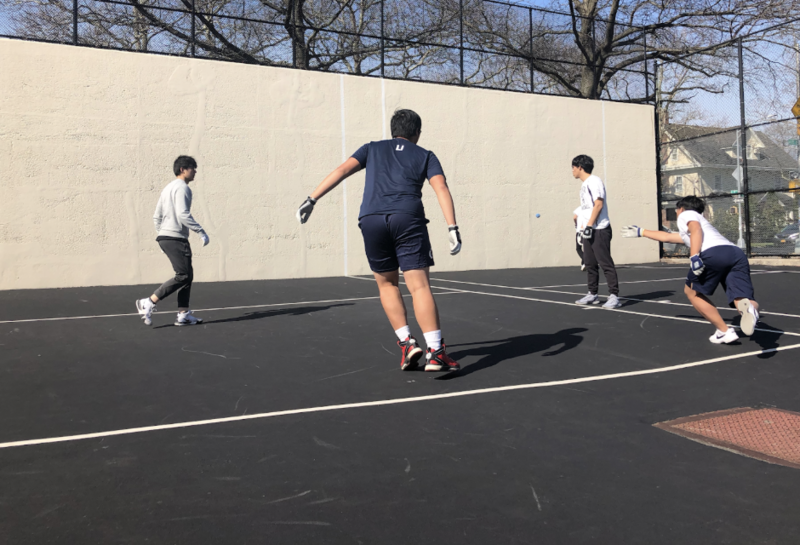 With the handball season just starting, Midwood’s Boys Handball team is currently 3-0 after their win against their biggest rival, Brooklyn Tech, on April 4 at Midwood Field. Brooklyn Tech and Midwood have been rivals for a long time. Mostly, it has been in Tech’s favor, but this win boosted Midwood’s morale for their future games. The game against Brooklyn Tech was intense. It was tied 2-2, so things were heating up going into the tiebreaker match. With every game, the team gains a learning experience. The team has been practicing non-stop since October and is now putting all their best skills out on the field. Coach Kimberly Lau’s goal is to “get them to love the sport enough for them to play on their own,” as well as to become city champions, she said. Through hard work and dedication, the handball team is striving to be the best in the city. With future matches coming up, the team is ready to take on any challenge.